Steve’s breakdown: Hotel brands Travel Keys, Squarebreak and Onefinestay are being grouped together under one brand to better serve their guests. The brand will be Onefinestay but who’s doing the work in marketing? As far as we can tell, there is no AOR. Check it out. DORAL, FL: Hospitality group AccorHotels is grouping together three of its brands – Travel Keys, Squarebreak and Onefinestay – with the intention of merging all three under the onefinestay brand by the end of the year, it said on Wednesday. The announcement follows AccorHotel’s acquisition of 100 percent of French villa rental firm Squarebreak earlier this year – it has owned 49 percent since February 2016. Meanwhile, AccorHotels acquired 100 percent of elite private holiday brand Travel Keys in February this year, and luxury homes rental website Onefinestay.com in 2016. 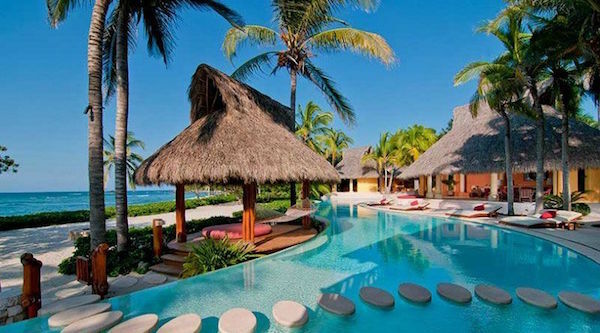 AccorHotels said the integration of the three hospitality brands means Onefinestay guests will be able to experience “more than 10,000 of the world’s most luxurious holiday homes combined with hospitality and concierge services”. The portfolio is to be placed under the responsibility of Onefinestay’s new CEO Javier Cedillo-Espin, who has been appointed to head up the grouping of the three brands in collaboration with teams from each of onefinestay, Travel Keys and Squarebreak.